When the cold of the New England fall brings a chill, there is nothing like a warm stew or chowder to restore a sense of warmth and comfort. 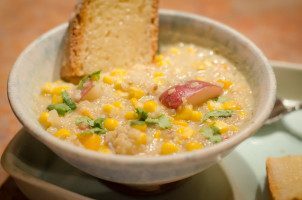 This vegan corn chowder with quinoa more than fills the bill. Yesterday, on my run, I realized that the peak colors of foliage had faded to the browns of leaves ready to fall. Today there is a wind and rain that will surely bring many of them down. 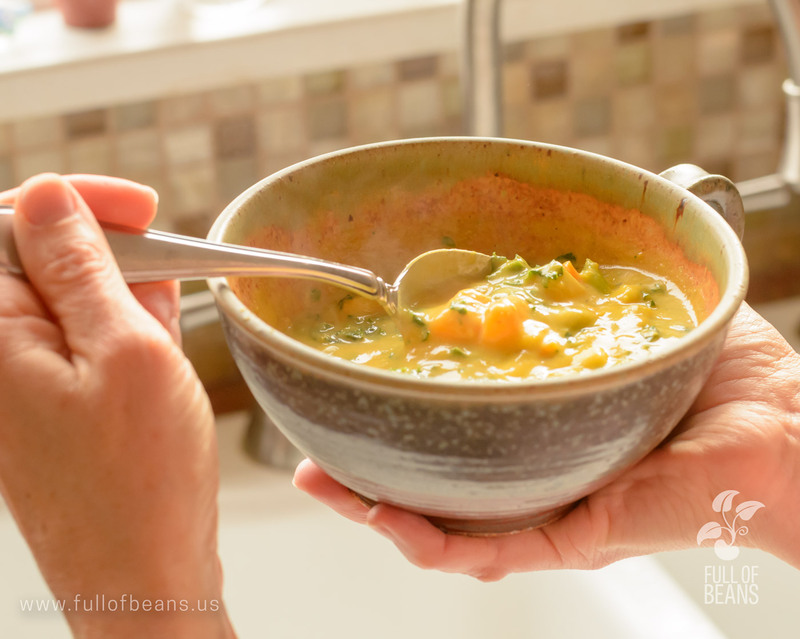 In the mood for a warm soup, I looked over my pantry offerings and happily realized I had all I needed to make this vegan corn chowder. Because I didn’t have every single one of the standard ingredients, I did what I often do and tweaked it to use what was available. So I’m sharing today’s version of this meal with you. Of course potatoes are essential for a chowder, I think, and I have used sweet potatoes and golden potatoes, but today I picked some lovely red ones. (Honestly, though, I think sweet potatoes are my personal favorite for this recipe). When using quinoa, be sure to rinse it. It has a bitter coating designed to discourage birds. It is easily rinsed away. Toasting the quinoa with the cumin seeds may not be an essential step, but the fragrance makes it well worth it. I also am doubling my usual vegan corn chowder recipe. We like to bring leftovers to work for lunch and we hate that awkward moment when there is just one serving left and we have to decide who will have it tomorrow. Big pot meals = harmony. Any plant milk will work. I have used soy milk. Today I have almond milk in the fridge – so that is what I am using. Because it calls for such a scant amount, I never worry about the olive oil. However, for those who are trying to omit all fats and oils, I am sure this would be fine without it. Time for Vegan Corn Chowder! Enough disclaimers! If you are in a northern latitude during the winter months, or experiencing a cold snap, this is an easy and really lovely chowder, best complimented by some chunky bread, like sourdough. 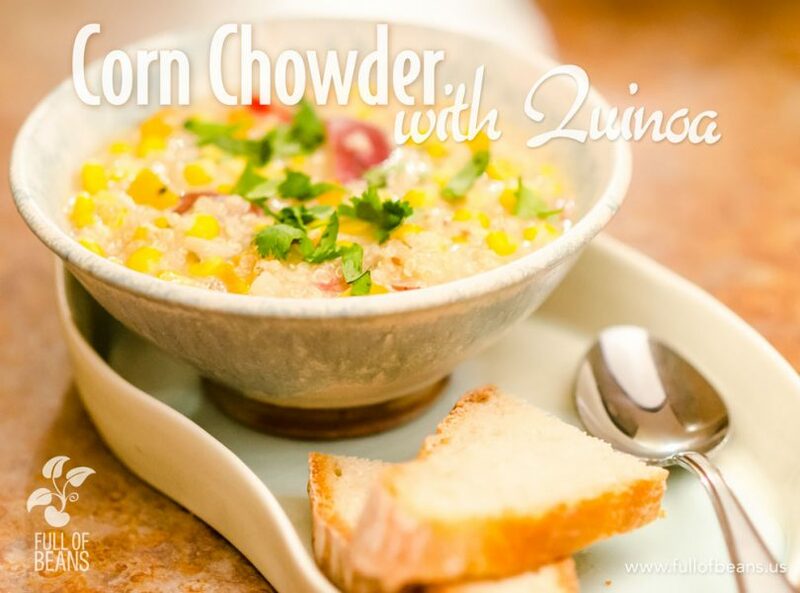 For those of you in warmer climes, or southern areas, give it a try too – this is a delicious recipe that comes together very quickly, anytime! There is nothing like a warm stew or chowder to restore a sense of warmth and comfort. 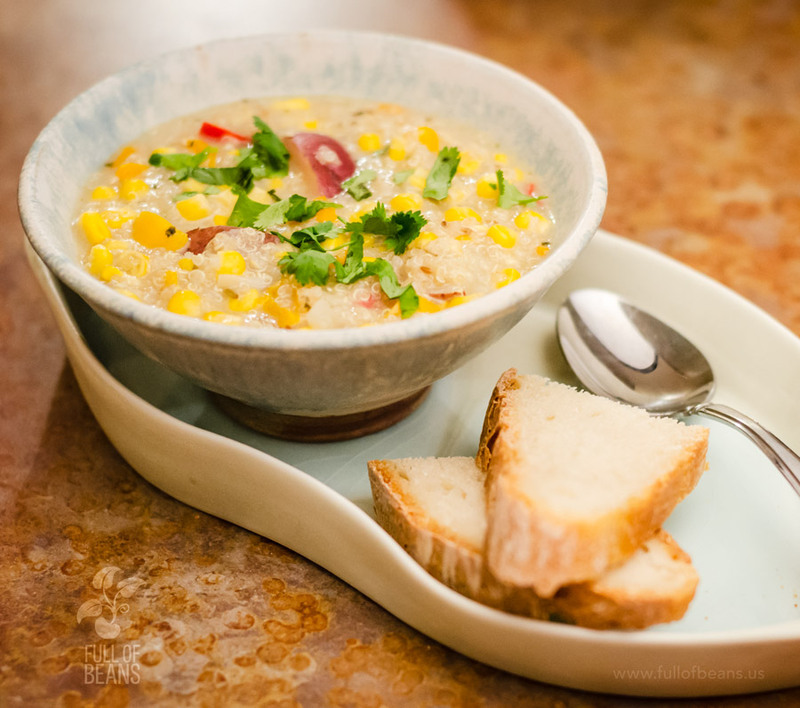 This vegan corn chowder with quinoa more than fills the bill! Add corn, potatoes and onion and cook stirring frequently for about 5 minutes. Add milk and broth and bring to a boil. Stir in quinoa, peppers and cilantro (if dried), reduce heat to low, and simmer for 20-25 minutes, stirring occasionally. Add salt and pepper to taste and cumin if desired and turn off the heat. Stir in cilantro (if fresh) and serve with additional cilantro for garnish as desired. Yes, yes it is! It seems just right for the photo ? The chowder is fabulous. You must try it. This looks way to yummy, i am actually drooling right now. I love fall and winter because i get to eat all this yummy vegan food!!!! 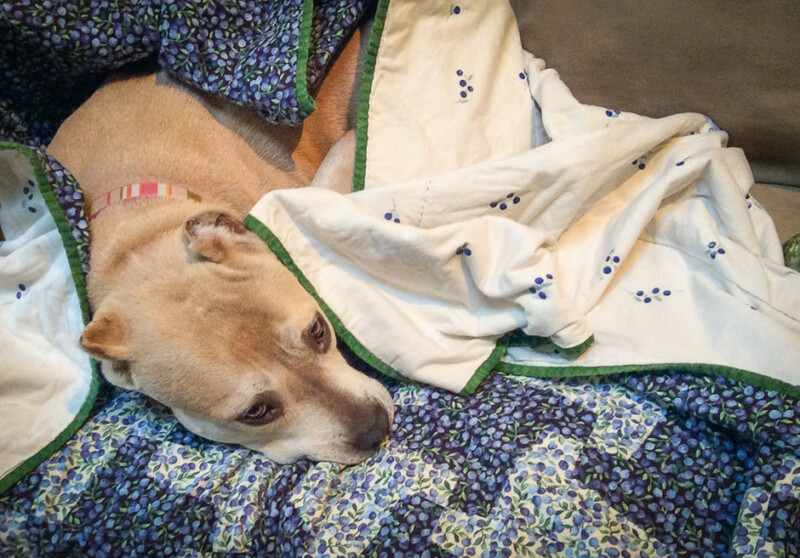 But i have a question…. i am unfortunately one of those that really HATE cilantro. What can i use instead in this delish dish?? Cilantro is a no-go for you? 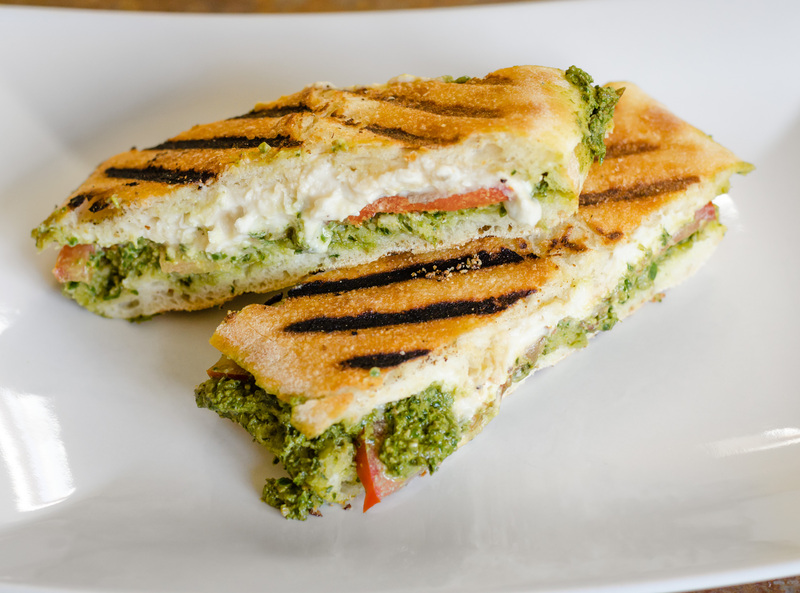 No prob – try the same amount of parsley. It will be absolutely fine! When do I add the optional cumin? Thanks for trying the recipe. The ground cumin is indeed optional. As we mention in step 2 of the instructions you can add it after everything has been cooking for a while and its “to taste” just as the salt and pepper are. Also, if you don’t happen to have cumin seeds (which you toast with the quinoa at the beginning) just add ground cumin to taste while the chowder is simmering. I served this recipe at a family gathering because I needed a vegan option to a more traditional chowder. It was a total hit! Everyone who tried it commented on how delicious it was. 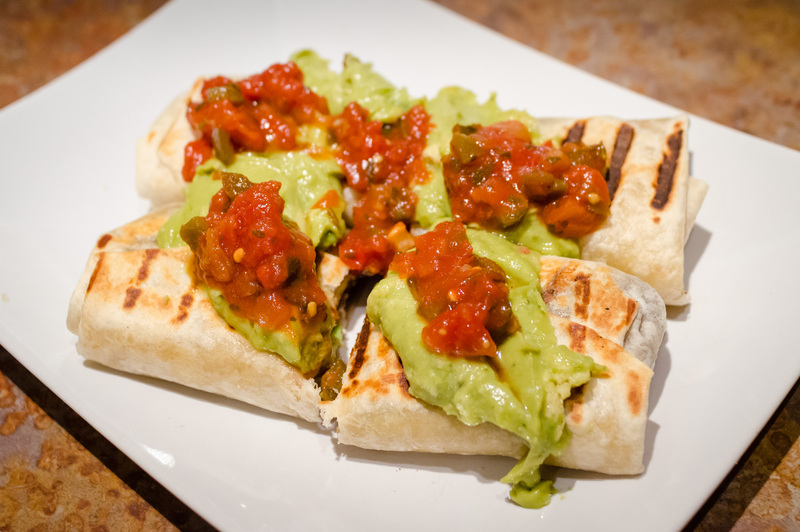 I was impressed by how easy it was to prepare and I chose fresh cilantro which added to the presentation. This is a great recipe! Thanks, again, for the feedback – we love to hear from people who have tried our recipes.